There were no big surprises from Storytel for Q1 2019, with the final numbers missing forecasts by such a tiny number as not to matter. 835,000 subscribers forecast and 834,700 delivered. That’s up 65,600 on Q4 2018. 297 million SEK forecast from streaming revenue materialized as 296 million. At this rate Storytel is in serious danger of becoming predictable. But hold that thought, as we only know three of the six planned new markets Storytel is lining up for us this year. Those will be Singapore, which just went live with 85,000 titles, and the pending launches in Brazil and Germany. Brazil is likely in Q2 and Germany late Q2 or early Q3. 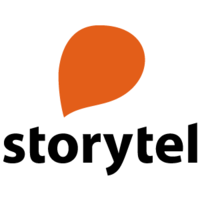 Once done that will take Storytel to eighteen markets, but thus far Storytel has only shared detailed numbers about home country Sweden, which picked up 1,200 more subscribers than expected, taking the total to 363,200, or 43%. Swedish streaming revenues again just missed target, with 136.9 million SEK against a forecast 138 million. Subscribers outside Sweden totalled 471,100, a jump of 47,600 on the previous quarter, with streaming revenues from outside Sweden meeting expectations at 159.1 million SEK. We are witnessing fantastic growth with almost 50,000 customers abroad and we continue to increase the inflow to the service quarter on quarter. The next milestone is to reach one million paying subscribers and it is our international markets that hold the key here. One point of note here is the ARPU numbers. ARPU is the “Average Revenue Per User” (or subscriber, for our purposes) and we see that heading downwards. Put simply, as Storytel continues to expand in markets where lower subscription rates are required so the ARPU will diminish and in turn the rate of growth in overall revenue value will decline even as subscriber numbers soar and actual revenue climbs. In related news, Storytel Denmark is now “Mofibo, a Storytel company” after the two separate companies and separate apps Storytel Denmark and Mofibo were merged under the Mofibo brand. But I’ll end here by rewinding to the news of the Storytel Singapore launch and mention the story within a story here. Because Amazon has been operating in Singapore since July 2017. But this isn’t an example of Storytel entering the lion’s den, because Amazon Singapore doesn’t do books, digital or otherwise. A reminder here that we are in our fifth year without a new Kindle store launch, and there are few indications Amazon plans to change its current trajectory. The pending Brazil launch will put Storytel at odds with the Brazil Kindle store, but as Storytel is an audio focussed operator that doesn’t mean much. Amazon is working towards a Brazil Audible operation, but that seems still along way off, if it ever happens. Amazon still has yet to deliver the Audible Spain store it’s been working towards. Storytel has a notional clash with Amazon in the audiobook arena in Italy and in India, but it is the German launch this summer that will be the first big Audible vs Storytel challenge, and one we should all be watching carefully as two very different subscription models go head to head.